J. Elizalde Navarro was born in 1924 in Antique, Philippines. He came to Manila when he won a one-year scholarship at the School of Fine Arts of the University of the Philippines. He finished his degree of Bachelor of Fine Arts major in painting at the University of Santo Tomas in 1951. His first solo exhibit at the Philippine Art Gallery in 1954 consisted of woodcuts and construction pieces of mixed media, using metal, wood and other found objects. In 1957, he was invited by the Japanese Chapter of the Youth Association of Asia to visit Japan. This visit exposed him to traditional Japanese art which greatly influenced him. He continued to paint and sculpt while working at an advertising agency, eventually becoming the creative director and handling its major multinational accounts. In 1967, he represented the Philippines at the Sao Paolo Biennale in Brazil in the category of sculpture. In the early 1970’s he headed the creative department of the Design Center of the Philippines. He was responsible for the Philippine exhibits in key cities around the world. In the late 1970’s, he chose to work as a full time painter and sculptor. In 1989, he became the first Filipino artist to be represented at the Yayasan Dharma Seni Museum Neka in Bali, Indonesia. In 1995, he held his retrospective exhibition at the Metropolitan Museum of Manila. He continued to paint and hold one man shows in Manila until his death in June 1999. 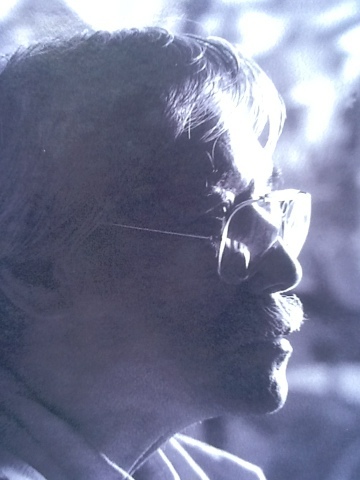 J. Elizalde Navarro was given the National Artist award for Visual Arts in 1999. His career spans more than 50 years of painting, sculpting and other forms of visual art. His watercolors and work on paper are often overlooked given the wide scope of work that Navarro did. Hence, The Mercier Gallery of Fine Arts chose to concentrate on this genre of the artist.